Marine Medium Tiltrotor Squadron 764 (VMM-764) is a United States Marine Corps Reserve squadron consisting of MV-22B Ospreys. 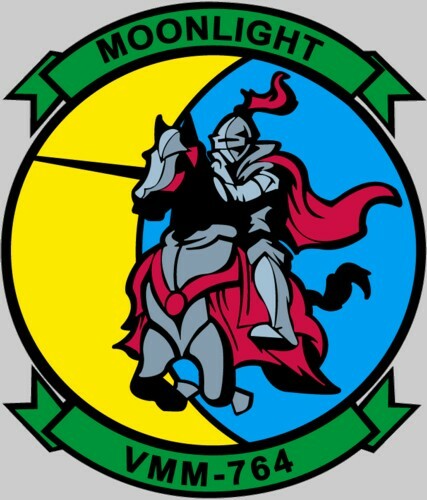 The squadron, known as "Moonlight," is based at Marine Corps Air Station Miramar in San Diego, CA and falls under the command of Marine Aircraft Group 41 (MAG-41) and the 4th Marine Aircraft Wing (4th MAW). Relocated during May 1971 to Marine Corps Air Station El Toro, California. Relocated during June 1975 to Marine Corps Air Station (Helicopter) Tustin, California. Redesignated October 1, 1979 as Marine Medium Helicopter Squadron 764, Marine Aircraft Group 46, 4th Marine Aircraft Wing. Activated to support the active duty forces during the Persian Gulf War from November 1990 to April 1991. Relocated during 1999 to Edwards Air Force Base, California. From 25 April - 25 June 2008, the squadron was part of Special Purpose Marine Air Ground Task Force 24 (SPMAGTF 24) on board the USS Boxer (LHD-4). During this deployment the squadron brought essential air-lift capability to operations in Guatemala, El Salvador and Peru which allowed the various medical and engineering work site professionals the ability to get ashore. They flew 43 missions, 83 flight hours and transported 877 passengers. The mission is part of the Partnership of the Americas (POA) 2008. POA is a United States Southern Command sponsored annual maritime engagement operation to enhance multinational cooperation and strengthen partnership among navies and allied nations throughout the Americas. 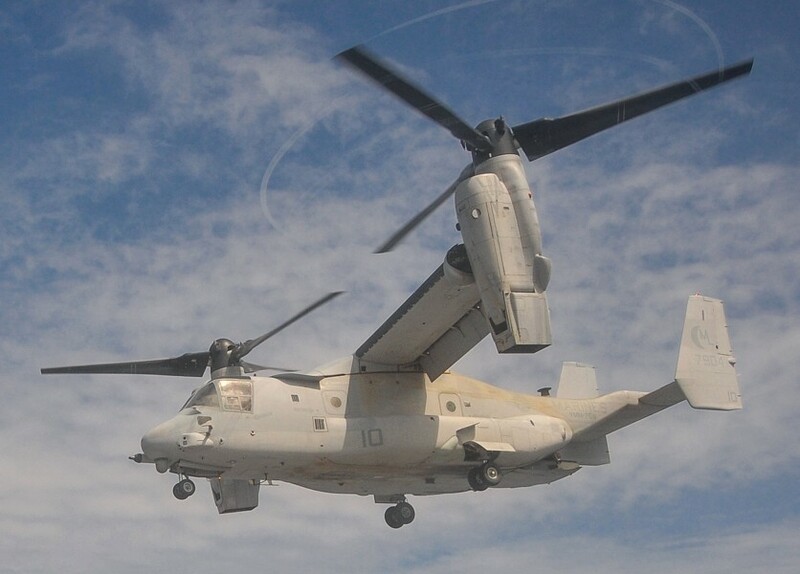 On January 13, 2013, HMM-764 became the first Marine Corps Reserve squadron to transition to the MV-22B Osprey. 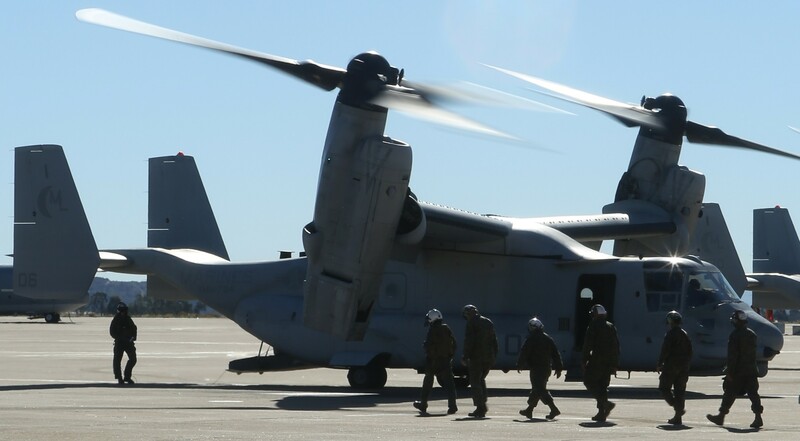 The squadron officially redesignated to Marine Medium Tiltrotor Squadron 764 (VMM-764) and relocated to Marine Corps Air Station Miramar in San Diego, CA. In November 2015, the squadron participated in the UNITAS amphibious exercise in Rio de Janeiro. This resulted in an MV-22 movement of 6,165 miles. 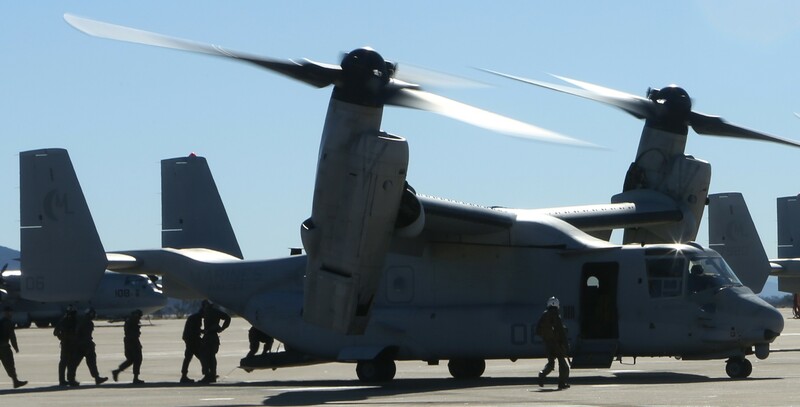 The longest MV-22 flight in Marine Corps history to date.